Welcome to My User page! as you see... I am the ultimate Mario super fan. don't mess with me, or you will get it! as my username implies, I am a huge superfan ever known. I can help you in some games, feel free to to my talk page here. I have been playing games for a long, long LONG time, so I know a lot of stuff about games, need a clue? I'm your help! 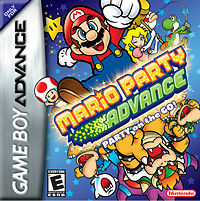 I know so many things about games, but that does not mean I am a video-game Know-it-All, I even I have trouble with certain games, so don't expect me to have an answer to ALL your questions, especially if you are dealing with a Non-Mario game (though I can help with some Zelda games), I play more Mario games that any other game series. And I only play Nintendo games, so I cannot answer questions for Sega games, Microsoft games, Sony games, Namco games, Capcom games, etc. So Good Luck, and Happy Gaming! P.S. who knows what lurks deep within my userboxes! P.S.S. Only those who can see truth know! I now have a Licence and a Brawlcard! You may level up my licences if you want. All unquoted messages will describe the image, but all of the quoted messages will represent what the character is saying. PS:Got questions about any of the images? Go ahead and ask away! "Who turned out the lights!?" "Hey! Come back here, ya Chicken!!" "Oops! I'm losing my gold!" "Did you call the Bros. Army?" "Oh, no! It's gonna eat mee! aaahhhhhhh!" ...I now call him Fierce Deity/Oni Mario. ...I now call him Fierce Deity/Oni Luigi. ...I now call her Fierce Deity/Oni Peach. ...I now call her Fierce Deity/Oni Daisy. "Come any closer and you are a frog!" "For my circus act, I will try to balance on this ball." "I call this the Koopaling Kick!" "I'm deaf! I compose the Koopa Symphonies! Hey! You there! Did you say something!?" "I feel dizzie, why do I zee Ztarz zirkling my head!?" "Unless you want to be stomped by my foot of fury, get out of the way!" "Stay back! Ignore this and you will be squashed by my huge size!" 42px beaten final boss/main game, done some sidequests, not 100%. 50px all Chuckle beans dug up and all Hoo beans found, all minigame levels unlocked. beaten Cackletta's Soul. All SC drinks brewed. 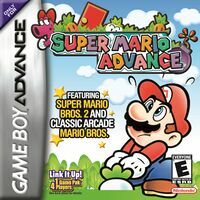 Discovered Cyclone Bros. and Swing Bros., got Advance on all including the secret Bros. Attacks, all Monty Moles found. Great game, good gameplay, needs endless playmode. Normal: 50px completed all levels, beaten Bowser. World-e: need some e-Cards for levels. now I can save, better graphics, the option to play Mario Bros. AWESOME! For Mario & Luigi: 42px Beaten Dark Fawful Bug, need to get Rainbow Rank, need to dig up all Beans, need to get A Rank in every game in the Cholesteroad, and just need to beat Bowser X at The Gauntlet. For Bowser: 42px Beaten Dark Bowser, need to get Final Boss Rank, and need to get Rank A on all Broque Madame Sessions. Great Game! I like the way Bowser fights bosses with Mario and Luigi helping! though I think it's not fair that the Mario Bros. only get to explore a few rooms in Peach's Castle. Whereas Bowser can explore the rest... also, Inside of Peach's Castle's theme (after Fawful takes over) is very depressing, in fact, it makes me sad when I listen to it. 42px all characters unlocked, all board minigames unlocked. need to unlock all Extras and figurines. 50px Beaten Bowser and Koopalings, unlocked and beaten All levels in World 9, also gotten every Star Coin in every world including World 9. Wow! 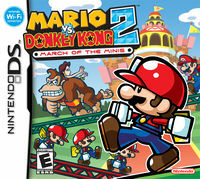 many games from the past merged into the Greatest Mario Platformer yet! Need To Unlock the Caracters: Dry Bowser and Mii outfit B. Need to unlock the vehicles: Jet Bubble, Sprinter, Dolphin Dasher, Jetsetter, Spear, and Phantom. need to Unlock all Expert Staff Ghosts, and Need to get a Gold Trophy in Star Cup and over in Mirror Mode. Also need to get at least a Rank of one star or more in Mushroom Cup and over in 150cc Mode. Wow! Many new characters! Many new courses! and the classics are brought back! 50px Gotten the Striker Cup and Brick Wall and Golden Foot for all 3 cups! also did every striker challenge! I enjoyed the voice acting a lot! 50px Beaten Bowser, Star World, Special World, completed all 96 maps. Wow. I'm impressed, a lot of secrets and levels. 42px beaten Bowser, gotten the Diploma from The Master, Ultra Ranked every Partner. Need all Recipes, Badges, and Star Pieces. good game, needs better graphics, great enemies. OK game. needs more power-ups, hearts, easier 1-ups . great game! some enemies (like the Boo, Bob-Omb, and Chain-Chomp) were small. good game, needs better graphics. too challenging, very hard, but better graphics and good game, and gusts of wind, AWESOME! 50px Beat Smithy and Culex. discovered Yo'ster Isle and Grate Guy's Casino with bright card. 50px Beaten Baby Bowser, unlocked Black and White Yoshis, Compleated Every Level. great game, good secrets, a little too short. 42px beaten Super Dimentio, Wracktail, Shadoo, found all Maps' treasures, bought Tiptron, got all pixls, including Dashell, Barry, and Piccolo. Need all Recipes, and all Catch Cards. 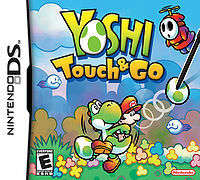 Great Platformer-like game! first real-time RPG! 50px got all 121 Power Stars with both mario & Luigi! Saw all chapters in the Storybook. great game! great graphics! good story. Bad game, I pretty much did not like it. 42px Beaten Shadow Queen, Bonetail, Ultra Ranked every partner, and defeated Gus. need the Money Money Badge to get all badges, and all Recipes, need to fill the Tattle Log, need to solve all the troubles in the Trouble Center. Great game, good graphics, awesome storyline. 42px beaten Story mode, need to unlock all minigames. a little not good, bud great boss minigame. 42px beaten Baby Bowser, need to get 100% in all courses. 50px all characters, all toys. Make at least 100 Userboxes. Tippi plays the same role as Navi in Ocarina of Time and Tatl from Majora's Mask, with the three of them being fairies (or at least fairy-like for Tippi), and having the unique ability to identify the protagonists' enemies. Also, Mario's Flip and Tippi's ability has similar effects as the Lens of Truth in Ocarina of Time and Majora's Mask, both being able to uncover hidden secrets. Thoreau, another Pixl from Super Paper Mario, is used like the Power Gloves/Bracalets in The Legend of Zelda Series, and the Boomerang or the Hookshot (Although Thoreau cannot latch on objects, but it can grab Items and hit switches from a straight, short distance. Boomer, yet another Pixl from Super Paper Mario, is used exactly like the Bombs in The Legend of Zelda Series. Cudge, a Pixl from Super Paper Mario, is similarly used like the Megaton Hammer from Ocarina of Time. Both plots having the Main protagonist(s) in another realm, (Flipside, Flopside, and various other dimensions in Super Paper Mario, and Termina in Majora's Mask). Also, Mario and Co. have to stop The Void from destroying all dimensions before it's too late (although there is no actual time limit in this game, as opposed to Majora's Mask), Much like Link has to save Termina from the crashing Moon. The power of four are required to stop the ominous object in both games. The Heroes of Light in Super Paper Mario, and the Four Giants in Majora's Mask. the main antagonists in both games are not truly evil, but are corrupted into evil beings. Lord Blumiere was corrupted by revenge and anger after his father cursed Lady Timpani, his love, and became Count Bleck. And the Skull Kid was being gradually possessed by Majora's Mask until it took full control of the Skull Kid. Also, Count Bleck and the (possessed) Skull Kid both appear as the primary antagonists of the games, but it is later revealed otherwise after defeat. Dimentio revealed that he used The Four Heroes to gain control for the Chaos Heart, while Tael revealed that Majora's Mask was the culprit behind Termina's sad fate, and used the Skull Kid as a puppet. Dashell, an optional Pixl from Super Paper Mario, works exactly like the Bunny Hood, both being able to make the protagonist run at incredible speeds. 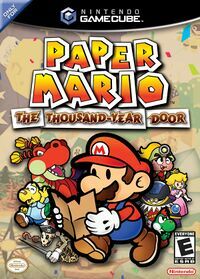 There are four protagonists in Super Paper Mario and Four Swords, Mario, Luigi, Peach, and Bowser in Super Paper Mario. And The Four Links. Their teamwork in the two games are required to progress through the games. 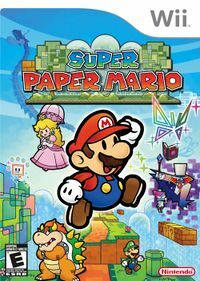 There are four protagonists in Super Paper Mario and Four Swords Adventures, Mario, Luigi, Peach, and Bowser in Super Paper Mario. And The Four Links, from Four Swords Adventures. 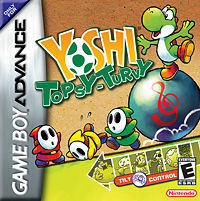 Their teamwork in the two games are required to progress through the games. Dottie, a Pixl from Super Paper Mario, has the same ability as Ezlo, both being able to shrink the protagonist to fit though tiny gaps. Normally in the Marioverse, there are none of these, but in RPGs, there are, so here is a list to aid 100% completions of Superstar Saga. 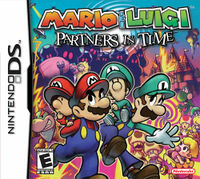 If Mario and Luigi do not compleate the Soybean Civilization sidequest by the time The Bros. confront Bowletta at the end of Joke's End, the chance to get one of the best badges will ber ruined forever, as the scholar, along with everyone else, will have fled from Bowletta's invasion (except for those who run the stores and Starbeans Cafe). The completionist must not complete Joke's End until the player has collected them all and given them to the scholar! One of the legendary Golden Mushrooms cannot be obtainable for the same reason above, (the owner will have fled from Bowletta's Invasion), so the completionist must find the owner's lost pets before confronting Bowletta on top of Joke's End. ♂ This user is male. vg-5 This user is a professional gamer. File:Controller example.png This user is addicted to video games. prog-1 This user is a n00b programmer. 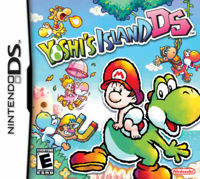 File:DS logo small.gif This user prefers the Nintendo DS over the Playstation Portable. 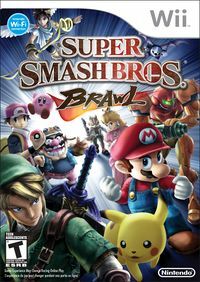 File:Wii small.jpg This user prefers Nintendo's Wii over the other consoles. 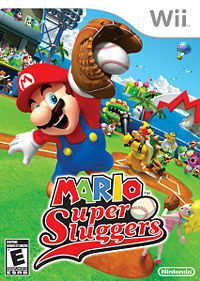 fan-3 This user thinks that Mario is the best videogame series ever established. This user's favorite Nintendo character is Mario. This user Shy Guys are cute!! This user like to spin in circles. Weeeeeeeee! This user thinks Waluigi should appear in more than just spin-off games. 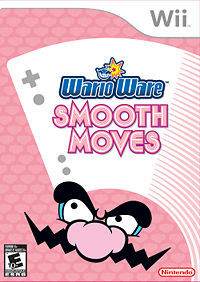 File:Steparrow.jpg This user is an elite dancer in Dance Dance Revolution. Halo This user hates the Halo series. This user thinks Yoshis are cute. This User has a VERY TERRIBLE temper!! AARGHHHHHHHHH!!! This user likes to ride on bicycles. This user likes/loves ice cream. 45px This user has beaten the Rougeport Pit of 100 Trials. 45px This user has beaten the Flipside Pit of 100 Trials. This user has beaten the Flopside Pit of 100 Trials. 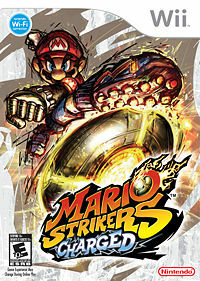 This user is not in Mario's side.. This user likes Chain Chomps. 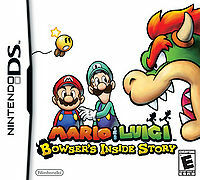 ML:BiS This user couldn't wait to play Mario & Luigi: Bowser's Inside Story!!! 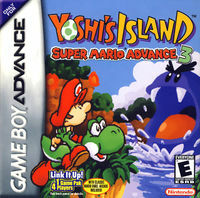 File:Yoshi small.jpg This user plays the Yoshi series. 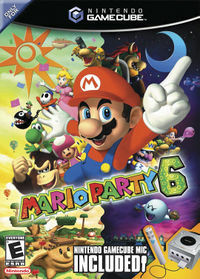 File:Mario Head Small.PNG This user plays the Super Mario series. MK This user plays the Mario Kart series. N This user is a (loyal) fan of Nintendo hardware and software. 45px This user supports Nintendo. File:Superappeal.gif This user is a huge fan of the Paper Mario series. This user thinks Bowser should star in his own game. this user's birthday is July 10.
this user can't wait to hear about Miss Koopette's Birthday!. 40px This user thinks that the Shoobs are really cool!! 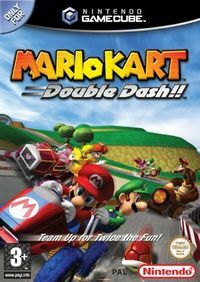 This user's first Nintendo GameCube game is Mario Kart: Double Dash!!. This user's first Mario Kart game is Mario Kart: Double Dash!!. 40px This user's latest Mario Kart game is Mario Kart Wii for the Wii. File:Plus sign.png This user creates some of his own userboxes. This user prefers the new look of Thwomps. This user prefers the old look of Thwomps. This user watches Mario cartoons. File:Coin-mario-yoshi.gif This user loves animated GIFs. Dance, Mario, Dance! feel the beat!! oh yeah!!!.
? 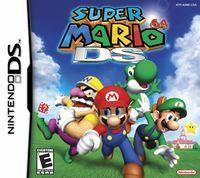 This user doesn't care what a game is for as long as it's Mario. 50th This is my 50th Userbox. File:Controller example.png This plays video games for an average of at least 1 to 2.5 hours. 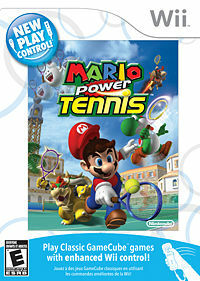 this user has played and beaten all Mario RPGs!!! HOLA! Este Usuario viene de Mexicó, eso quiere decir que puede hablar mucho Español. This user is from Mexico, that means he can speak Spanish fluently. This user is bilingual with Spanish and English. 20px This user knows how to connect the e-Reader to the Nintendo DS. 40px This user finally beat Culex!! oh yeah!!!. File:Triforce.gif This user plays The Legend of Zelda series. File:Mariosk.PNG This user doesn't know any better. 40px One of this user's favorite type of Shy Guy is the Bandit. One of this user's favorite type of Shy Guy is the Fly Guy. 40px This user has a habit of picking his nose occasionally, gross. 40px This user easily HAS FURY! 50px All your base belong to this USER! 40px This user wants to break the record of user with the most userboxes in the whole 'site! File:Box open.png This user needs more userboxes. MORE, I tell you, more!!! Muhahaha! Seriously, I need more. This user's favorite Nintendo character is Mario. he is so cool! He is brave and heroic! This user's second favorite Nintendo character is Luigi. he is very cool and funny for his cowardliness! This user's third favorite Nintendo character is Princess Peach. she is so beautiful!... or is it Hot? I don't know, whichever one has a stronger meaning... This user is literarlly in love with her! In fact he secretly plays as her in games she is playeble. This user's fourth favorite Nintendo character is Yoshi. his tongue is so long, Yoshi could swallow Bowser whole! This user's fifth favorite Nintendo character is Bowser. he is the gnarliest of all! This user used to be Retired from MarioWiki, but decided to rise from the shadows once more! WOW! This user learned how to make invisible userboxes and camouflage text! and should tell you not to use this ability on my pink userboxes. If you can read the userbox above, then you possesses the Eye of Truth. This user LOVES money... but then again, who doesn't. 100th This is my 100th Userbox. ...But still thinks Princess Peach is way prettier. 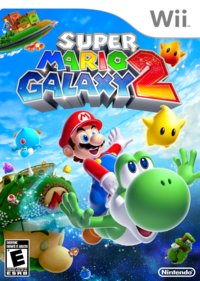 File:Mario Head Small.PNG This user can't wait for Super Mario Galaxy 2. 50px this user has a Club Nintendo account. File:PM2 Emerald Star.PNG This user hates it when people cuss. 50px This user is trying to learn Japanese. 40px This user is friends with Cmario17. This user has never had a girlfriend. This user wants to be a star on Super Mario Wiki. 40px This user has problems. This user is happy for Mario. 50px THIS USER HAS CHORTLES!!!!! This page was last edited on October 18, 2016, at 15:31.